I love to hang brides' wedding dresses in windows so that they are backlit and the details of their stitching, beading, folds and other beautiful features pops out. 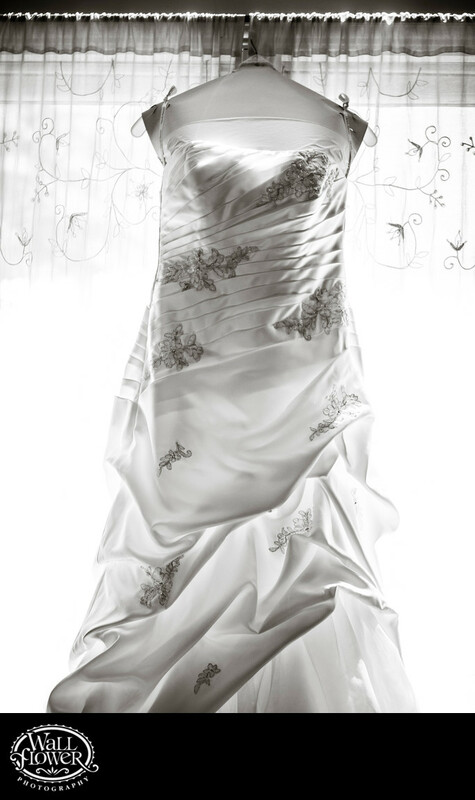 This wedding dress is hanging in a large window in the bride's getting-ready room at Laurel Creek Manor in Sumner, Washington. The black and white effect gives the photo a classic look, and the original photo had very little color in the first place.